Mobile games have long reached a high level of implementation. Today, these are not some primitive projects with a simple 2D image, but real analogs of games from “adult” platforms, which in some cases are not inferior to them in gameplay and graphical terms. One such example is GT Racing 2 with the significant subtitle of The Real Car Experience. And she certainly will be able to prove that the powerful hardware stuffing in the next “new” gadget is not just there. This is almost a real racing simulator, which has a fascinating gameplay with a very interesting system of “pumping” and full multiplayer. Fans of “mobile” races to get used to GT Racing 2, of course, will be somewhat easier. But this game has its own unique physics, which makes significant changes in the gameplay. And to master them, in any case, will have to spend a lot of time. Such details are difficult to describe in words, but if to speak in general, the dynamics of the car in GT Racing 2 is felt at times more realistic than in other well-known “mobile” races. Of course, it is impossible to compare game physics with the level of games for personal computers and consoles, but the developers have definitely tried to make an interesting and convenient control model for their game. And it immediately catches the eye. The only question that arises is whether mobile games need such realistic management? After all, excessive realism may not be an advantage of the game, but on the contrary – its disadvantage. But besides physics, GT Racing 2 has another unusual feature – holding races at different times and under equally different weather conditions. At the same time, differences in weather affect not only the graphics but also the direct behavior of the car. This means that you can learn to ride perfectly on a particular track in the daytime and in good sunny weather, but show a bad result on the same track in the conditions of rain and dark. At the beginning of the campaign, the player will be available only a few tracks. To open new tracks will have to acquire special cars. But they all cost money, or rather gold, and it can only be earned in races. By the way, gold is also used to purchase attractive machine upgrades. But even when the hard-earned gold is enough to buy the necessary special car and it will be in the player’s garage, access to the new track will still not be open – you will still have to accumulate stars, which are also handed in races. The steeper the track, the more stars and gold are needed for the car. 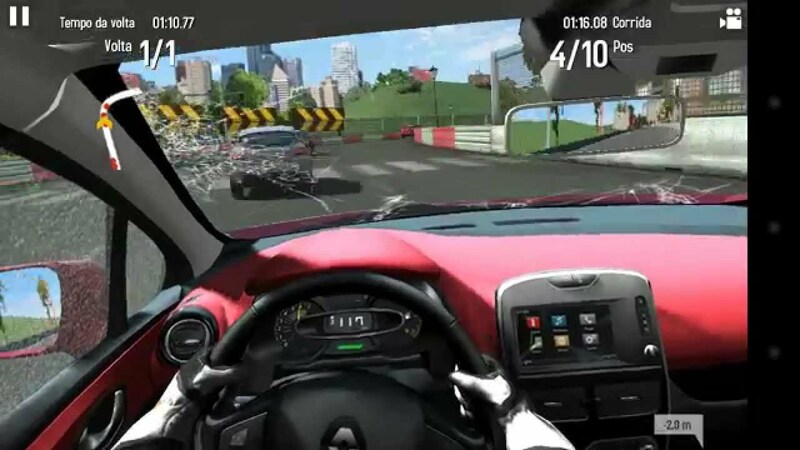 And if you look at the game GT Racing 2 from a different point of view, it is easy to see that it does not bring something really new to the genre. Yes, a beautiful picture with good optimization and a realistic physical model means a lot, but there are no truly new ideas in the game, and because of the very realism, the convenience of driving is often affected. Based on this, playing GT Racing 2 is definitely worth it, at least for a simple introduction. But many players, it just cannot hold for a long time. Step 4. Now type GT Racing 2 in the search bar. After the search, click “Install” to continue and finish.